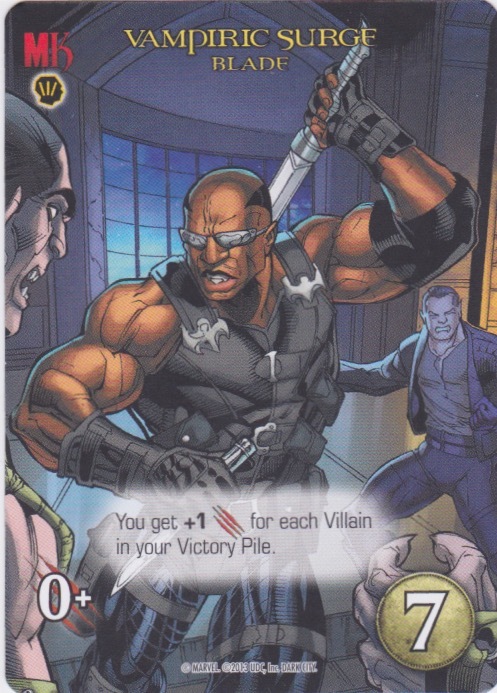 You get +1 Attack for each Villain in your Victory Pile. 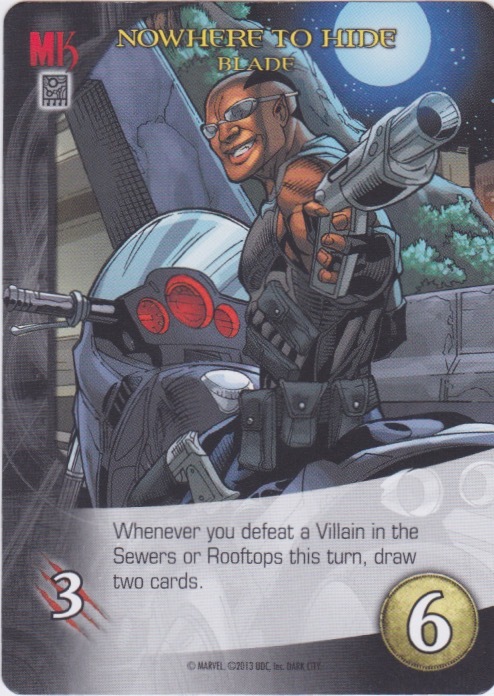 Whenever you defeat a Villain in the Sewers or Rooftops this turn, draw two cards. 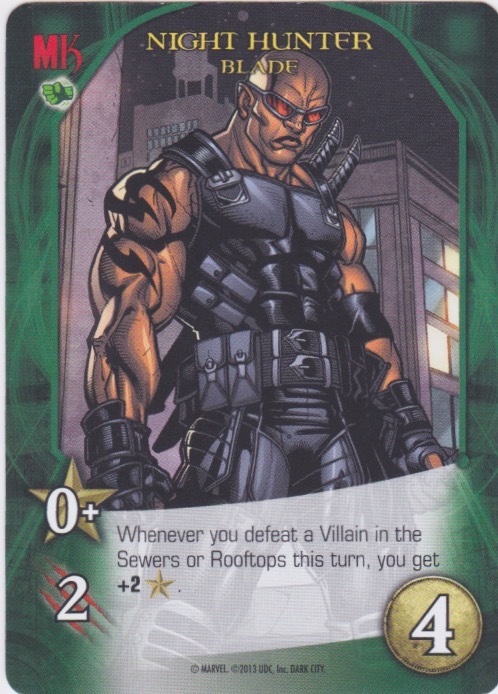 Whenever you defeat a Villain in the Sewers or Rooftops this turn, you get +2 Recruit. 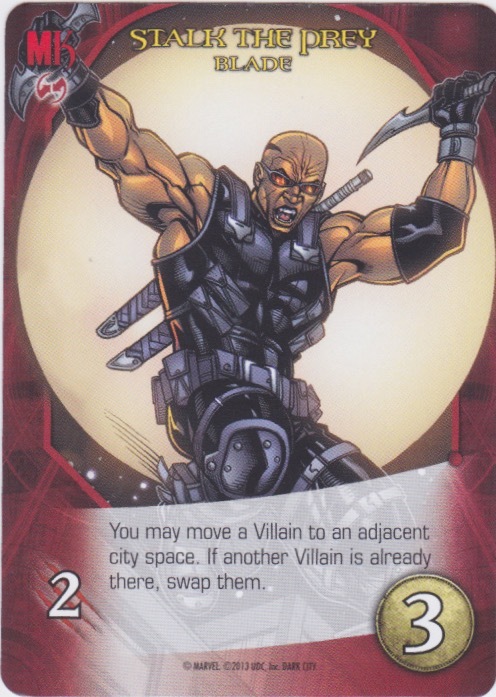 You may move a Villain to an adjacent city space. If another Villain is already there, swap them.